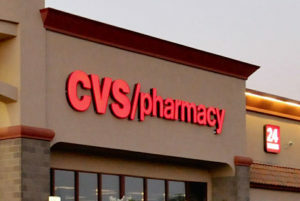 WOONSOCKET, R.I .— CVS Pharmacy is debuting its new ScriptPath Prescription Label and Prescription Overview in its 1,160 CVS Pharmacy locations in California this week. The new prescription label and overview, along with the recently released prescription schedule, are all components of the ScriptPath Prescription Management System. The ScriptPath system’s overall design and iconography simplifies and organizes key information, increasing a patient’s ability to find and understand their prescription information and dosing instructions. The new prescription label features clearer directions, larger text for better readability, color-coded icons for different times of day, easy-to-find prescription information, and clear refill details that make reordering prescriptions easy. The ScriptPath Prescription Management system uses a sophisticated tool that automatically reviews all of a patient’s CVS Pharmacy medications and prescribers’ instructions, and provides a schedule of the most effective times to take medications. Deborah Adler, a designer known for her past work on Target’s ClearRx prescription packaging system and the inventor and lead designer of the new ScriptPath system, worked with the CVS Health team to develop the easy-to-understand icons and an intuitive layout for each of the ScriptPath offerings. Each element of the ScriptPath system is available in English and Spanish. The new label and overview began rolling out in early 2018 and was completed this week. For more information on the ScriptPath prescription management system visit www.cvs.com/prescriptionschedule. The post CVS Pharmacy debuts new ScriptPath system in California appeared first on CDR – Chain Drug Review.